HWY 64 - BEAUTIFUL PROPERTY!! 50 Acres with No Restrictions and so many possibilities! Would make a great Cattle or Horse Farm. Perfect size Farm for Row Crops. 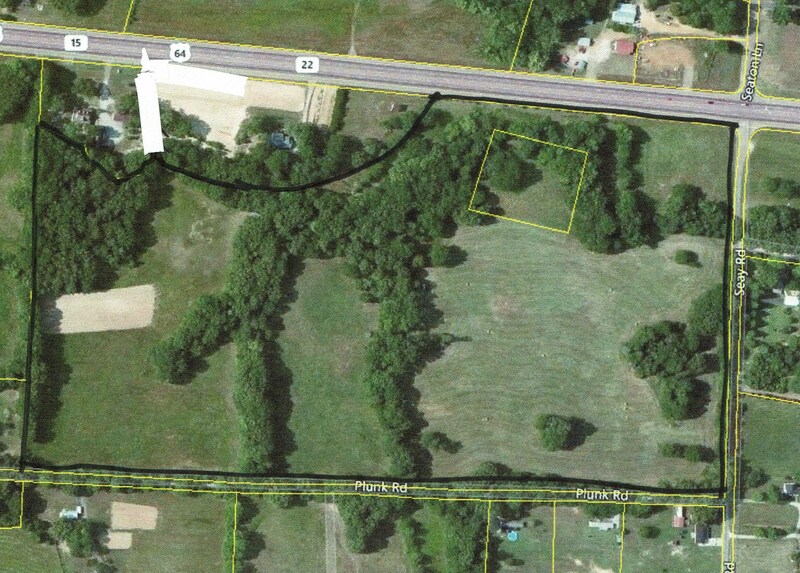 Could easily be Commercial Land with highway frontage. It's nice level land great for building a subdivision. Or you could take this beautiful piece of country land and build your New Home and enjoy the country life. First time on market! The 50 acres has been in the family since 1894! There's approximately 10 acres in soybeans and your horses & livestock will love the approximately 35 acres in pasture land. The rest is in hardwoods. The property lies very well and has so many possibilities! There is road frontage and utilities on 3 roads. Property has a year round creek running along the north side, with property line going to the center of the creek. There are some large hardwoods along the creek and fence rows. Great hunting, deer tracks can be seen all along the creek. If this sounds like what you are looking for! give us a call today!! For more information about this property for sale, please call Chris Pyron at 731-925-7900 or email chris.pyron@yahoo.com.